Born to a family that has produced several generations of artists and musicians in Rochester New York, Eric attended art school at the Nova Scotia College of Art and Design and Nazareth College, where he learned to combine his natural musicianship with an uncanny affinity for wood and sculptural form. Years of development and evolution have allowed Eric to produce instruments of exceptional quality. 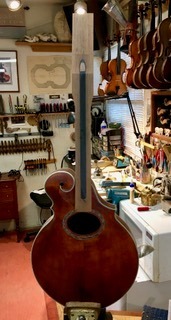 His violins, mandolins and guitars are today in increasing demand by discerning musicians around the world, artists such as Jean Luc Ponty, Darol Anger, Matt Glaser, Tommy Malone , Jerry Goodman, Ritchie Havens, Irene Sazer, Ruben Blades, David Torn and many many others (see Ithaca Stringed Instruments). Primarily a self-taught musician, he advanced his violin technique under the tutelage of concert violinist Rolfe Sokol. 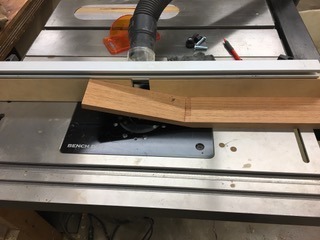 With the neck blank all squared up I just run it on the Router table (a few passes to save wear and tear on the cutter). Accurate and safe. 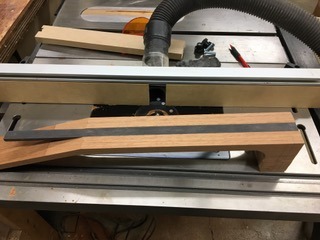 On this instrument, a Mandocello with a fingerboard extension, I also have it going all the way into the fingerboard extension (giving that critical area excellent reinforcement) and thru the peghead joint. 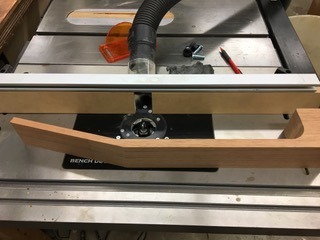 I fill that area with a plug of the same wood as the neck so that there is no void under the peghead overlay. I love this system. Simple, superior reinforcement. The tap tone of this rod is sweet, musical and great at conducting string energy into the body. 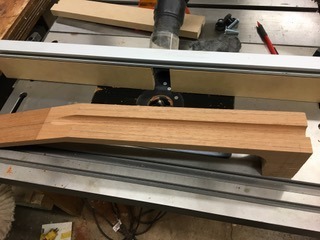 A perfect and stable reinforcement of the entire neck with no chance of a rattling truss rod or broken adjusting nut. Thanks so much for developing it.